In its new petition to the Supreme Court, Romag asks “whether willful infringement is a prerequisite for an award of an infringer’s profits.” In utility patent law, courts have held that disgorgement of the infringer’s profits is never available as a remedy. That option was eliminated from the Patent Act in 1946. In design patents, however, disgorgement is the ordinary remedy. When a violation of any right of the registrant of a mark registered in the [USPTO], a violation under section 1125(a) or (d) of this title, or a willful violation under section 1125(c) of this title, shall have been established in any civil action arising under this chapter, the plaintiff shall be entitled, subject to the provisions of sections 1111 and 1114 of this title, and subject to the principles of equity, to recover (1) defendant’s profits, (2) any damages sustained by the plaintiff, and (3) the costs of the action. This is a major circuit split: Six of the appellate circuits follow the statute by allowing a plaintiff to recover infringer’s profits without any additional showing (such as willfulness); Five other circuits require a prerequisite showing of willfulness prior to allowing disgorgement; and one circuit (the First Circuit) has hybrid requirement where willfulness must be shown when the parties are not direct competitors. The Federal Circuit does not have its own law on this issue, but follows the law of the appropriate regional circuit court when hearing a TM case. 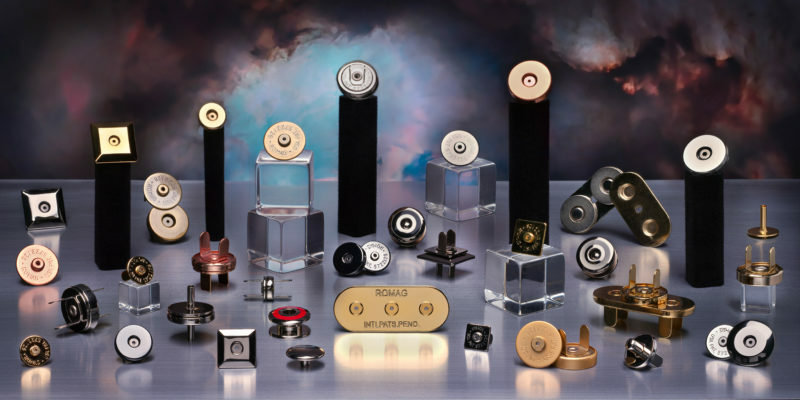 The plaintiff here – Romag – is a leading supplier of magnetic fasteners for bags and wallets. In 2002 Fossil started using Romag fasteners. Around 2008, however, Fossil’s products began appearing with counterfeit Romag branded fasteners. A jury found for Romag — both for trademark infringement and patent infringement. However, the jury also found that the infringement was not willful. The basic idea is that the mental-state culpability was on Fossil’s Chinese supplier, not Fossil itself. The jury did go ahead and award a portion of Fossil’s profits — finding that 1% of Fossil’s profits were attributable to the TM infringement ($6.7 million). Whether, under section 35 of the Lanham Act, 15 U.S.C. § 1117(a), willful infringement is a prerequisite for an award of an infringer’s profits for a violation of section 43(a), id. § 1125(a). This is a case with a very good shot of being heard by the U.S. Supreme Court. I heard tell that even this liberal press is starting to become somewhat concerned about the border situation of late as the number of migrants is skyrocketing for the last couple of months, to a degree that is stressing the border infrastructure and personnel, even though we have donny t trying to punish their attempts at illegal migration however he can. The last article I read about it from liberal press even acknowledged congress needs to act and it is a farce for the executive to be trying to force a foreign power to do our border enforcement for us when we can do it ourselves if we were but willing. But hey, gotta have those cheap maids/ to keep up appearances and “muh social change”. Did you see the latest piece in the Atlantic about how serfdom (of mostly brown people) saved the white woman’s upper middle class movement for “equality” with their mans? I’m having difficulty imagining what qualifies as “liberal press” in the chatrooms where 6 and his alt-bros air their grievances about “uptight” women. In this case known liberal writers for Yahoo and some of their affiliates. Uptight? I’m not even sure where you think I’m hanging out if you think we’re talking about grievances with uptight women. The “problem”, in so far as it is a “problem” though twould better described as a situation, being discussed is whaman NOT being uptight and simultaneously NOT making babies/families re re. How are you this ret arded? Does your leftist media truly not even cover the basics, or can you not read for yourself? Another related topic is also how this situation is creating a gubmit incentive for importation of people to “make up the deficit”/create a slave/serf labor force (and credit card credit fees/charges cows) in the economy is also a topic that comes up. Another topic that comes up is the creation of a gynocracy by Boomers. Anyway, it’s a good article from the atlantic, it really sets forth how the white whamen managed to oppress people of color to get their “equality”. And they did it without even being denounced (thanks to said aforementioned gynocracy). I wonder without actually seeking an award for infringer’s profits… wouldn’t infringers profits form some sort of evidentiary starting point for patentee’s lost profits? An IP owner can suffer profit losses greater than infringer’s profits where the infringement harmed the brand value or product quality reputation of the IP owner, and that lost sales to others. Also, the infringer may have only captured a relatively small share of the relevant market. The infringer’s profits are so much easier to prove than lost profits. We see this in design patent law, where under Sec. 289 the infringer must disgorge its profits to the patentee without a showing of willfullness. Before Samsung v. Apple, the calculation was simple: Gross sales minus cost of goods less allowable expenses = profits. And the burden is on the infringer to prove allowable expenses. Under the alternative of Sec. 284, the patentee must jump through a lot of hoops to get its lost profits, so it’s not that attractive. Disgorgement of profits under 289 has another benefit: a message to the infringer that it’s just not worth it to knock off designs, going forward. Of course, under the misguided Samsung case, the parties have to trip through a complicated “article of manufacture” analysis before calculating the infringer’s profit, which is why Sec. 289 is now such a mess. As a result, we need an alternative remedy, such as statutory damages (see Prof. Janis’s recent paper). Perry, no question that the special statute for infringement damages for design patents is advantageous to the design patent owner. But “cost of goods” is not that simple if the infringer is the maker, not just a re-seller of purchased goods. The Sup. Ct. Samsung-Apple case requires apportionment, so that, to use the usual extreme example, a design patent on a car’s cup holder cannot collect profits on the sale of the entire car. In the Samsung case itself that decision seemed to make little difference in the result? The “messing up” by inserting “apportionment” when the words of Congress dictate a different result is a different issue. Is there a sense of “unfairness” for a total profits lost on an item that is actually sold, as opposed to a part of that item that is not sold separately? (No one buys the car-designed cupholders separately from the car for which the cupholders are designed to be a part of). Sure — I “get” that feeling. But not liking the result of the law is not a valid source of legal authority for one branch to rewrite a law that it does not like (given that there are Separation of Powers in play). Note that I am only talking about the design patent portion here (and not TM). Design patents, even as horribly attempted to have been grafted into utility patent law as they have been, STILL falls within the single authority provided to Congress by the Constitution under patent law, and Common Law ONLY may enter at the recognized direct and limited “sharing” across branches as has been noted in other Con Law cases. Thank you Perry for the substantive comments (and the link). Thanks Perry, great to have your substantive comments discussion, and I loved your “back door apportionment” description for Samsung. Paul: The Sup. Ct. Samsung-Apple case requires apportionment, so that, to use the usual extreme example, a design patent on a car’s cup holder cannot collect profits on the sale of the entire car. There’s nothing “extreme” about this example. It’s a mundane example and a common fact pattern. There are thousands of design patents covering insubstantial aspects of items that sell for substantial amounts of money. Fining turnstyle jumpers (!) hundreds of dollars and charging them with criminal offenses that impact their ability to find work certainly “sends a message” but at some point justice and reality kick in to make a correction. To the extent Section 289 eliminated apportionment, it was irrational. Like section 101, sometimes the ludicrous failure of a statute doesn’t become evident until later. In part that’s because courts struggle to interpret the statute to impart some sense into it. In part it’s because there are incredibly greedy entitled “stakeholders” (and their mouthpieces) who will do and say anything to avoid discussing the in s@ nity of the statute because they know that fixing it will take time (especially if they also are opposed to fixing the worst aspects of the statute, which is how the patent maximalists operate). Your cognitive dissonance and one-bucketing of “patent maximalists” are noted. As is your apparent “the Ends justify the Means” when it comes to legislating from the bench. Real attorneys can recognize and respect the Rule of Law, even for laws that they may not like, or feel should be laws in the first place. Real attorneys don’t run around spouting incoherent gibberish and screeching about “broken scoreboards” just because their super sh – tty client base is drying up faster than a popped pimple on a camel’s a$$. I am shocked, shocked I tell you.